Way back when in blog years, we wrote about Roland Mouret's rainbow collection for net-a-porter (and by "wrote," I clearly meant "begged Santa for"). Obviously those dresses are long gone, including the amazing turquoise number that inspired lust on another level, but who said the rainbow connection has to end? 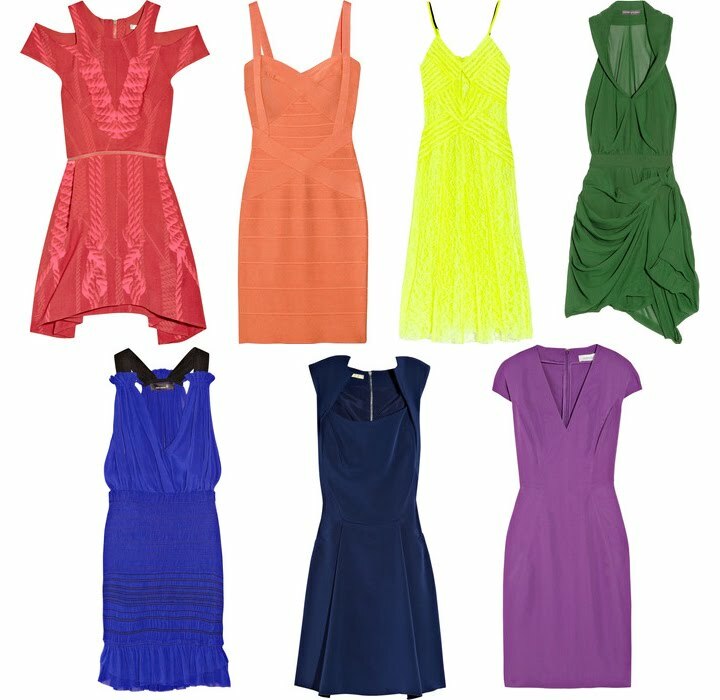 Enjoy HKFG's own version of a rainbow of cocktail dresses which will look just as good in your closet as they will draped on your body. red Dion Lee dress, orange Herve Leger dress, yellow Christopher Kane dress, green Camilla and Marc dress, blue Isabel Marant dress, indigo Antonio Berardi dress, purple YSL dress.